The human population is estimated to increase to 9 billion by 2050, requiring a 60 per cent increase in food production by 2050, and 50 per cent more protein by 2030. With only modest increases of agriculture production and more than 80 per cent of the world’s fisheries fully exploited, aquaculture is an increasingly important contributor to food security. Global aquaculture production has been expanding at a compound rate of more than 8 per cent per annum over the past three decades. Aquaculture is the cultivation of aquatic organisms, primarily for human consumption, but also as sources of important compounds for use in various industrial sectors. More than 350 finfish, 100 mollusc, 50 crustacean, and dozens of algal and aquatic plant species are presently farmed. Total aquaculture production volume (approximately 100 million MT; farm gate value of $160 billion (USD)) now exceeds beef production and accounts for 50 per cent of the seafood consumed by humans. Finfish production accounts for the largest share of this activity with annual production standing at 50 million MT, which is worth $100 billion (USD). Aquaculture is an exceptionally efficient food production system; as poikilothermic animals, fish easily outperform terrestrially farmed animals in terms feed conversion rates. Finfish also have a lower environmental footprint than most terrestrially farmed animals, with carbon and methane outputs lower than those associated with beef, lamb and pork production. Bivalves and algae are extractive species, requiring no man-made feed sources, and as such they can have a positive impact on the environment, removing sources of phosphorous and nitrogen from the water column. Our research at Plymouth University helps to underpin the sustainability of this expanding industry through fundamental and applied research to improve aquatic animal nutrition and health, and through our MSc in Sustainable Aquaculture Systems programme, we are training future aquaculture practitioners and policy makers. Our current research programme includes BBSRC, NERC, Innovate UK and industrial funding across a range of projects aimed at protection against sea lice parasitism, microbiome characterisation, gut health and use of algae and other raw materials to fish meal and fish oil in aquafeeds. 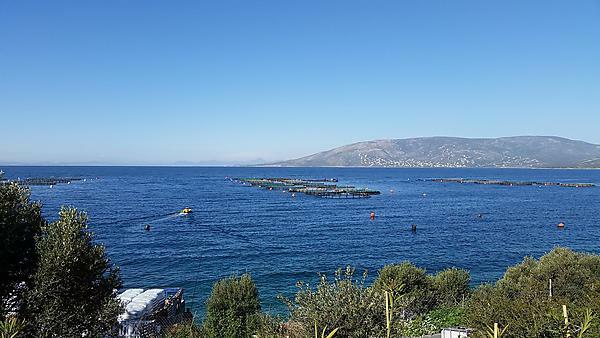 Our MSc programme is unique in its ethos and content for the promotion of aquaculture, based on sound principles adhering to scientific and ethical concepts relating to resource utilisation, animal welfare and human requirements. You’ll learn about the scale and nature of the global industry through specialised modules and packages.